Tampa Backflow Testing & Inspections | Associated Plumbing Inc.
Tampa Backflow testing and inspections are required under Florida law to help ensure the cleanliness and integrity of the public water system. At Associated Plumbing, our licensed professionals have the certifications necessary to perform backflow testing and inspections so Florida property owners can remain in compliance and have the peace of mind that comes from knowing any minor issues will be spotted – and corrected – long before they become major problems (or costly fines). Backflow prevention ensures foreign substances like non-potable water or debris can’t flow backward through a drainage system and into the water supply. It’s an essential step in preventing potential contamination of drinking water, and prevention systems are required for most properties in Florida. Backflow systems are also required for properties that are adjacent to rivers, lakes, ponds or any other body of water, and for properties in designated flood zones. Multifamily homes and commercial and industrial properties all require backflow prevention systems to be installed as well. That accounts for a lot of properties in Florida; if you’re not sure if your property needs a backflow prevention system, we can inspect your property, review your needs and make that determination so you don’t run afoul of state law. Why is backflow testing and inspection required in Florida? Backflow prevention systems use moving parts that are subject to varying degrees of wear and tear. Having an annual inspection isn’t just required under Florida law – it also just makes good sense. Your annual test and inspection can help identify problems with your system while they’re still easily fixable, and before your property is socked with a major violation or fine. To ensure testing and inspection are properly performed, the law also requires inspections to be conducted by a professional plumber who is licensed and registered to perform testing and inspections of backflow prevention systems. That’s where we come in. Our plumbing experts are skilled in backflow testing and inspections, as well as maintenance, repair and replacement of systems, so you can feel confident your system is working the way it should be. And of course, we’re certified and registered as required by Florida law! 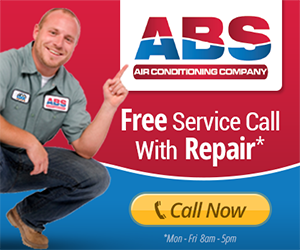 If your system needs an inspection or any type of service, give us a call today at 813-991-7960.